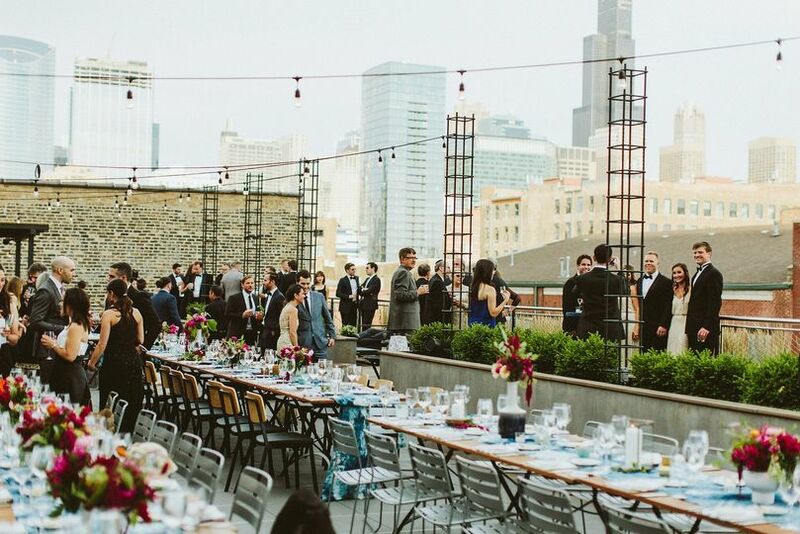 Morgan's on Fulton is a rooftop venue in the heart of Chicago, Illinois hosting weddings for couples in the surrounding area. This industrial city space features exposed brick accents, panoramic city skyline views from the roof and an art gallery on the first floor. 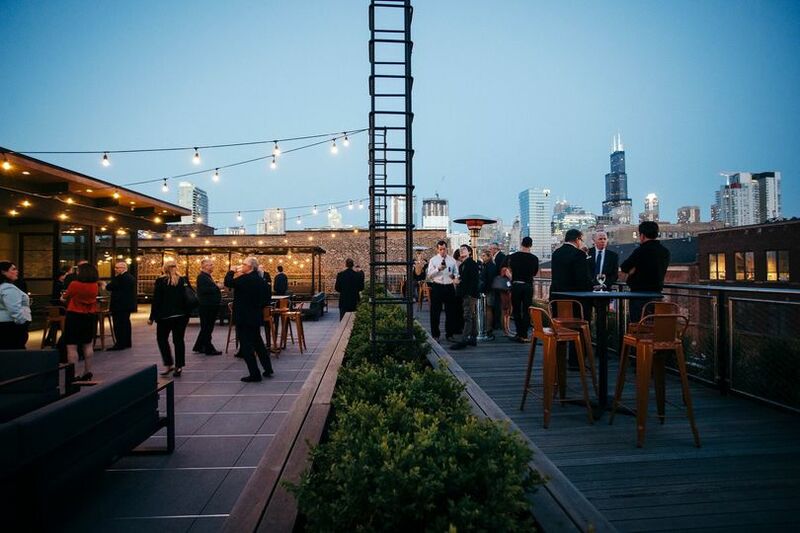 Situated just two blocks from the Morgan "L" station, this venue's downtown location is chic and convenient. Couples can invite up to 160 guest to join them at Morgan's on Fulton. 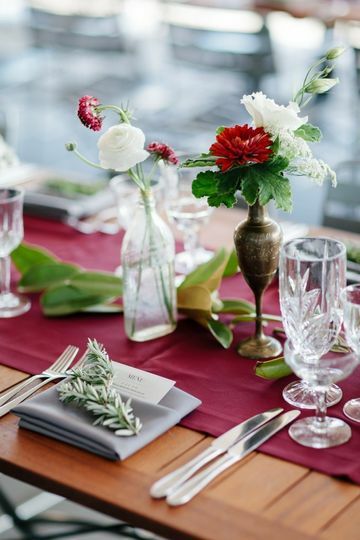 This venue features four event spaces in which couples and their guests can celebrate. 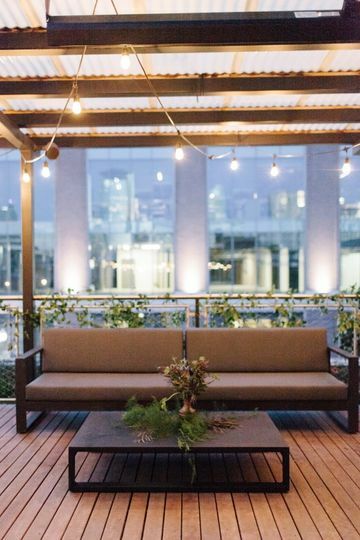 The breathtaking Rooftop is an open-air space with views of the surrounding city. An indoor Penthouse with walls of glass windows joins the Rooftop deck to allow guests an opportunity to step inside. 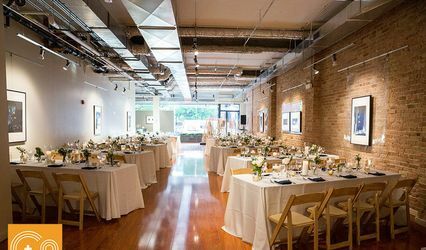 Suite C's exposed brick and weathered white walls give the space a modern, industrial finish for a ceremony or reception. 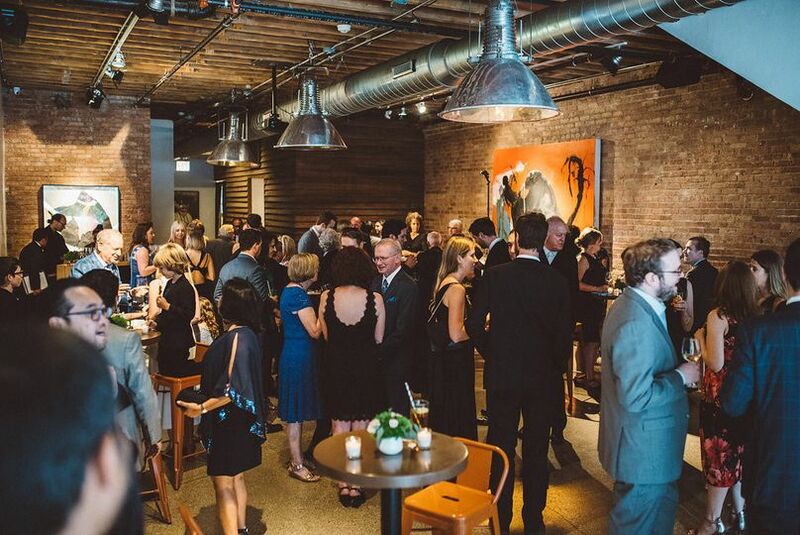 The Gallery is a long indoor room perfect for welcoming guests and hosting cocktail receptions. 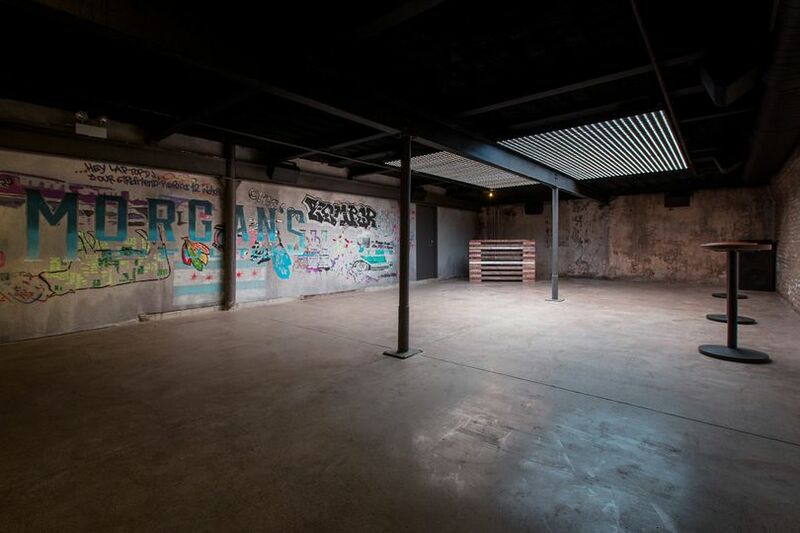 Studio M will keep the party going with concrete flooring, LED lights and a custom DJ booth. 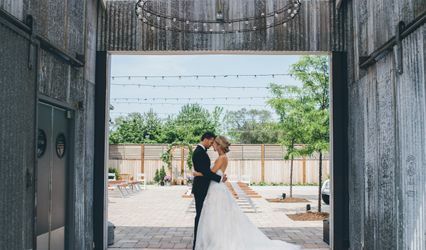 This venue is also available to couples looking to host bridal showers, engagement parties or rehearsal dinners in this location. 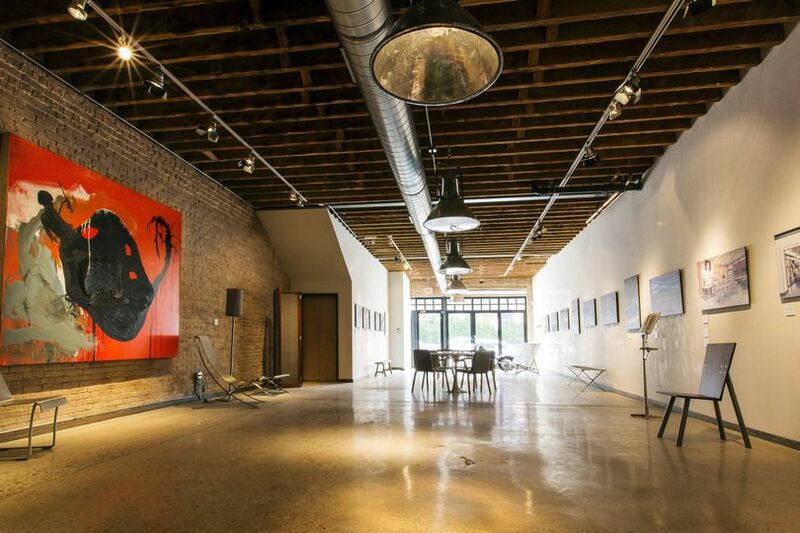 Founded by James Geier, this space was created with a passion for the arts and creative collaboration in mind. 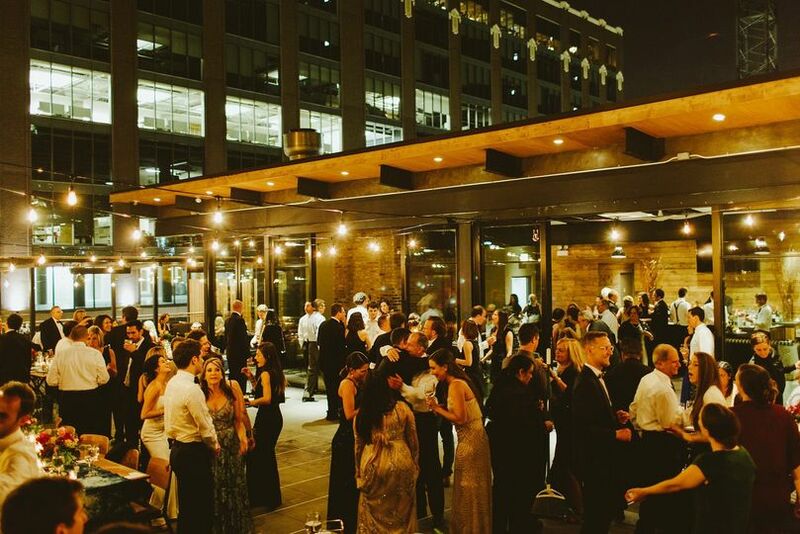 The building's style and architecture reflect the Fulton Market's past of manufacturing and meatpacking. The remembrance of this past give the building its industrial atmosphere. We chose Morgan's on Fulton immediately. It had the warmth, the intimacy, and the beautiful Chicago skyline we were looking for all in one beautiful location. They were also willing for our pup Morning to share our day with us! We worked with Keely from the beginning. 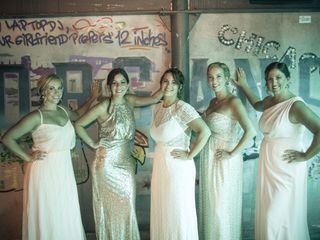 She answered all of our questions and went above and beyond to give us recommendations of her favorite vendors and peers in the Chicago wedding market. She helped us shape our wedding. Trust the experts, and trust who they enjoy working with. I had been slightly worried about the possibility of the tent having to be put up. In the end it was a bit chilly outside and there was a possibility of light showers, so up it went! And I have to say: it was a blessing in disguise! 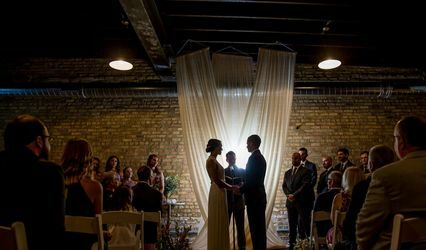 The entire reception felt intimate and warm. It was never stifled, and all of our guests were still able to venture out on the deck to enjoy the fantastic view! My husband and I could not have chosen a better a venue or a better team. My many thanks to Keely and her staff. 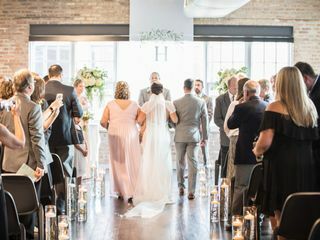 Where can I start the service and experience we had this past weekend for our wedding was beyond amazing at Morgan's on Fulton. 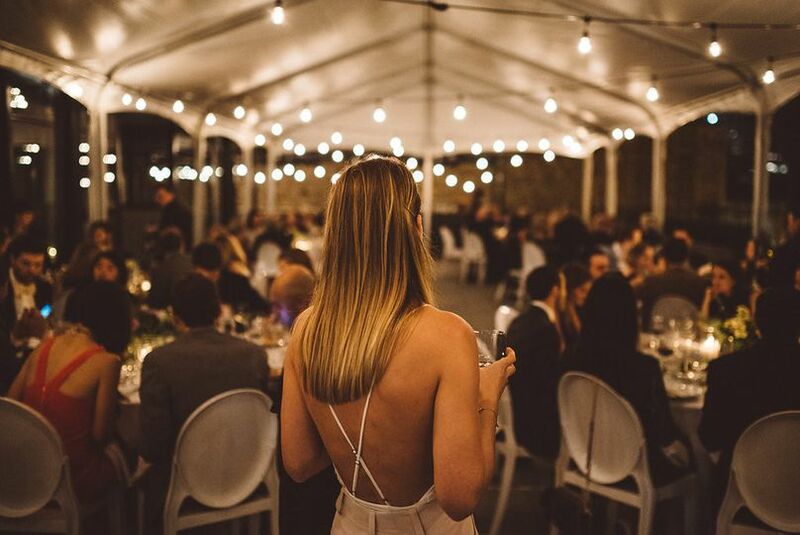 I worked with Keely during the venue tour and selection process and she worked within our budget, even allowing us to do BYOB as the last couple grand fathered into the old policy since it was in place when we originally signed. She was flexible and amazing throughout our planning process and very responsive to any questions I had along the way. Once we were nearing the wedding day, we worked with Justin their logistics manager and he was super attentive and had flawless execution. The walk through prior to the wedding was easy and Justin was able to make sure our vendors including catering, florist and DJ had all the necessary information to have a smooth running event. Also, he was a warm and kind person to deal with in the days leading up to the wedding so that made the experience even more enjoyable. Justin was able to troubleshoot some layout plans we had a few days before the wedding and came up with good solutions to make me feel at ease with the final floor plan. The day of the event Justin helped our vendor team and day of wedding coordinator get everything perfect so when we showed up the venue was spectacular. Everything was even better than we had expected and we received so many compliments on how unique and beautiful the space was. 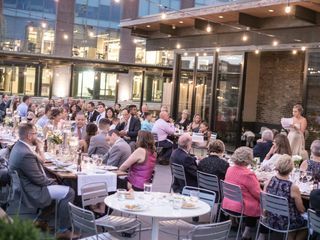 If you are looking for an event space that is different, unique and with high quality staff look no further than Morgan's for your space needs. 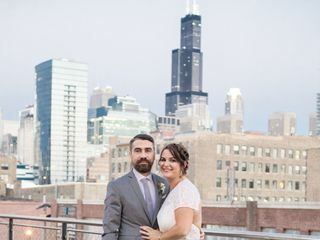 Getting married at Morgan's on Fulton was the best decision we made! From the minute we stepped foot in this stunning space, we knew it was going to be the perfect setting for creating a wedding that felt original, sophisticated, romantic and "so us". It is impeccably outfitted with such personality and allowed us to pull together the most magical wedding night. Our guests were beyond impressed! Keely was amazing from first phone call to final check in- so friendly, fun to chat with, responsive and accommodating beyond. Can't recommend this space more highly. Keely and Morgan&apos;s on Fulton team are professional in every way! . 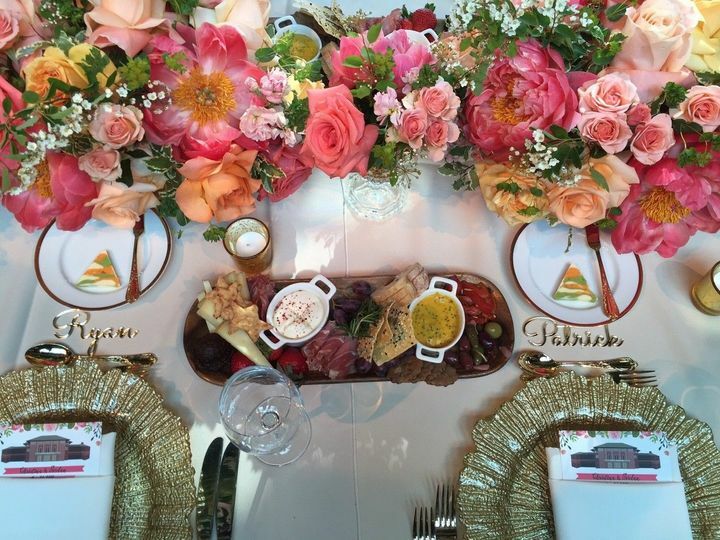 Keely is both creative and flexible in addressing each client&apos;s needs for events there . A great person and place to recommend to our clients for their events .